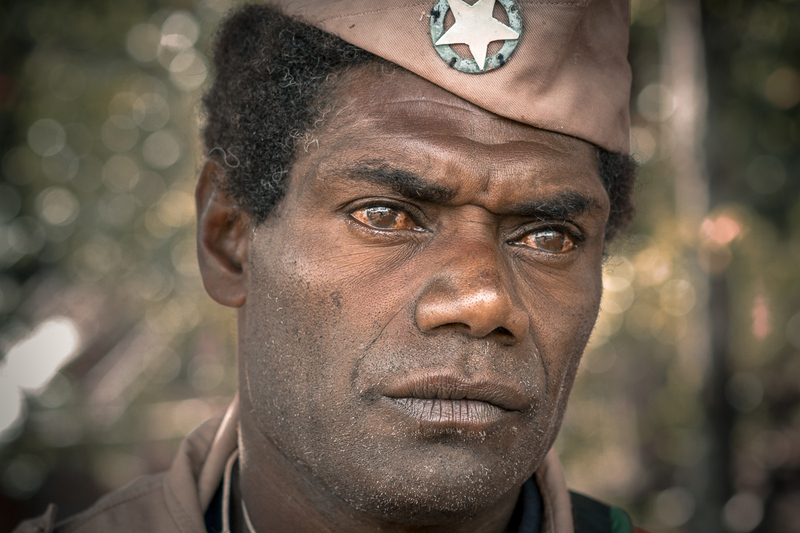 Cargo cult is a unique phenomenon which appeared in Melanesia and Papua New Guinea in 20th century when europeans started to bring there western luxuries. Ships and planes were delivering cargo to american and english military bases. Locals were puzzled by the fact that these goodies were appearing out of nowhere without any effort from the white men. When westerners left, islanders started copying strange ceremonies of the guests, in hope that gods would bring them cargo again. John Frum is one of the few remaining cargo cults. It is originated from Tanna island in republic of Vanuatu. The cult dates back to early thirties of the 20th century when a person who called himself John Frum appeared in Sulphur Bay and told people to abandon innovations brought by missionaries and return to their traditions. In return he promised to return with rewards. He named the date – 15th of February, but didn’t mention the year. For the last half a century the village that hosted the messiah has been celebrating this day, expecting John Frum to come back. 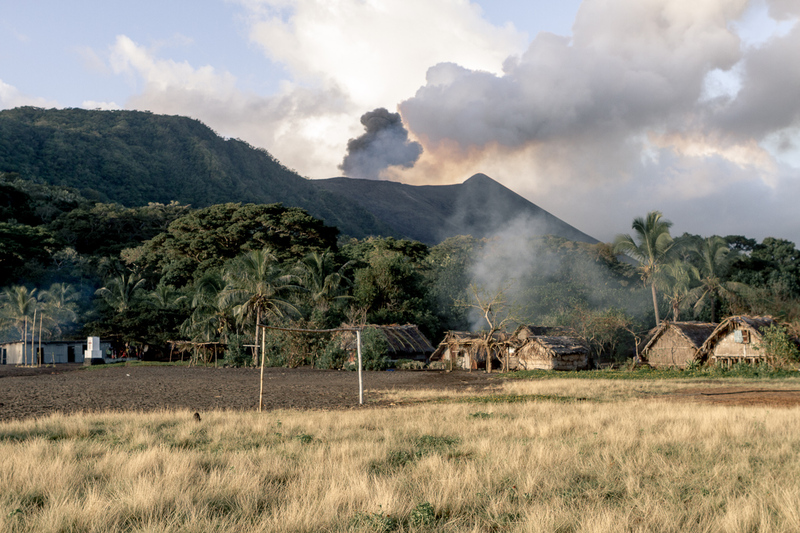 Yasur volcano erupting above Lamakara village, Tanna island, Vanuatu. The village is the birthplace of John Frum cult. 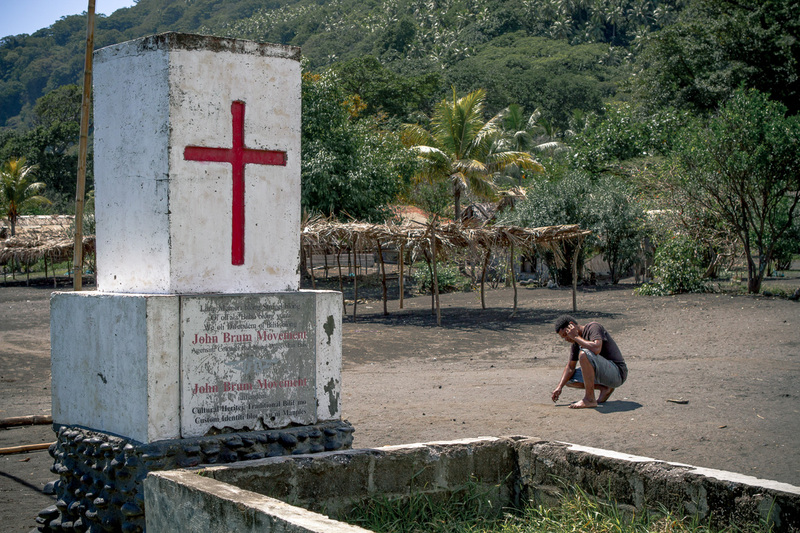 A boy is talking on the phone next to the John Frum red cross monument in Sulphur Bay, Tanna Island, Vanuatu. Red cross allegedly has been copied from American ambulance ships during WWII. 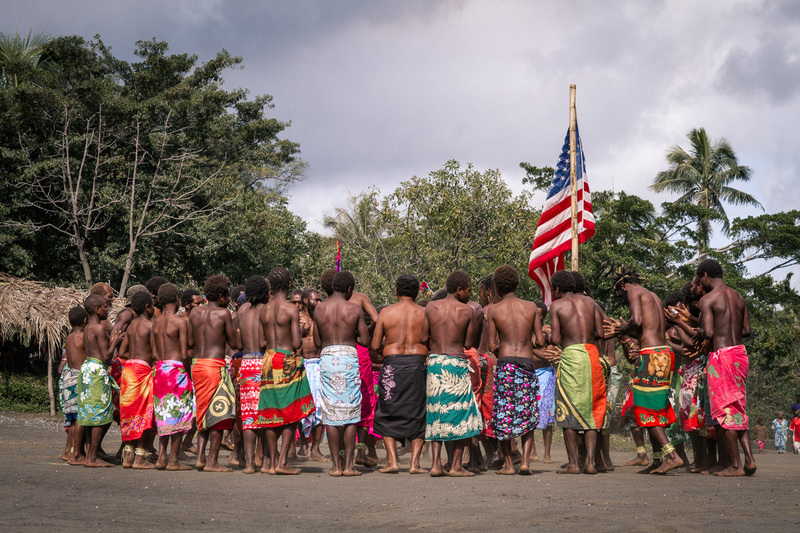 Villagers perform traditional dance (kastom dance) at the John Frum ceremony in Lamakara village, Vanuatu. Villagers with bamboo rifles maching into Lamakara village during John Frum celebration. 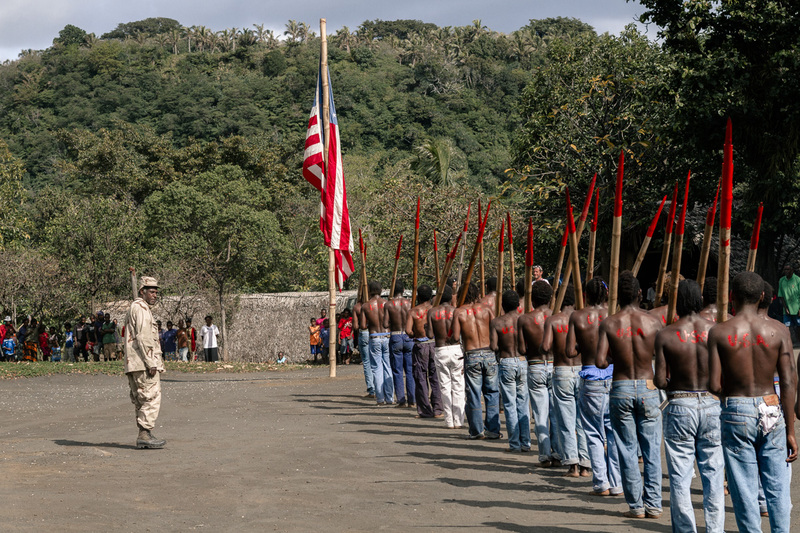 John Frum cult followers perform this as a tribute to the USA Army. 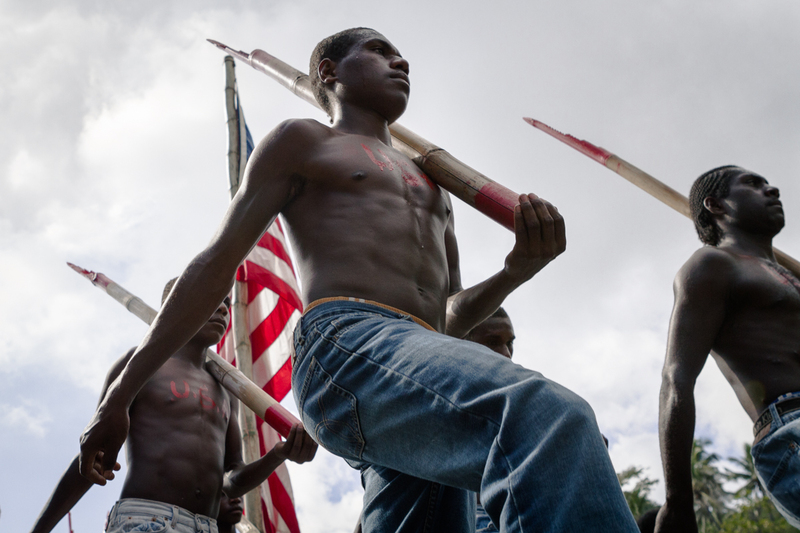 Villagers showing drilling skills at the John Frum ceremony in Lamakara village, Tanna island, Vanuatu. 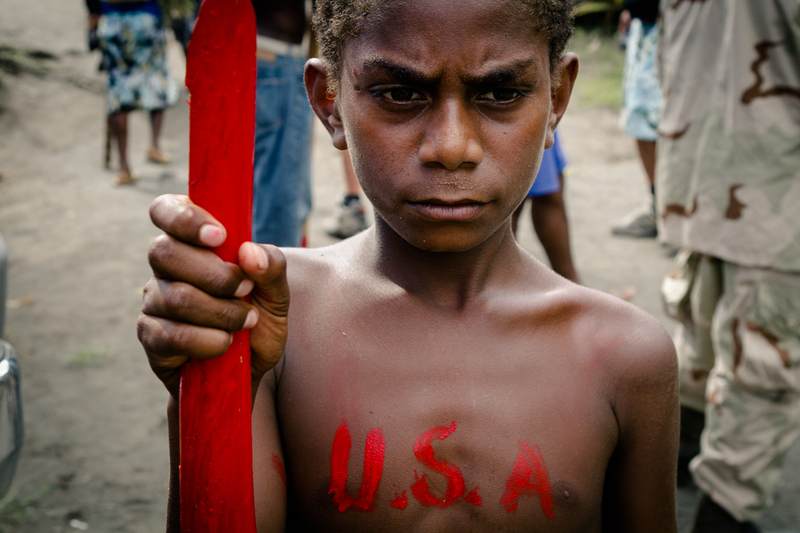 A kid with a bamboo rifle and "U.S.A." painted on his chest at the John Frum ceremony in Lamakara village, Vanuatu. 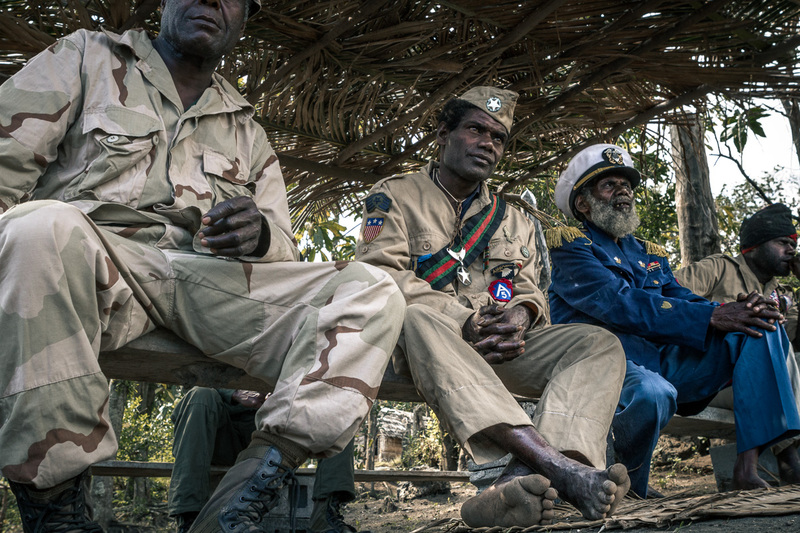 Village chiefs dressed as army generals watch the John Frum ceremony in Lamakara village, Vanuatu. Isaac Wan, chief of Lamakara village where John Frum tradition originated. Isaac Wan is the current keeper of the John Frum cult. 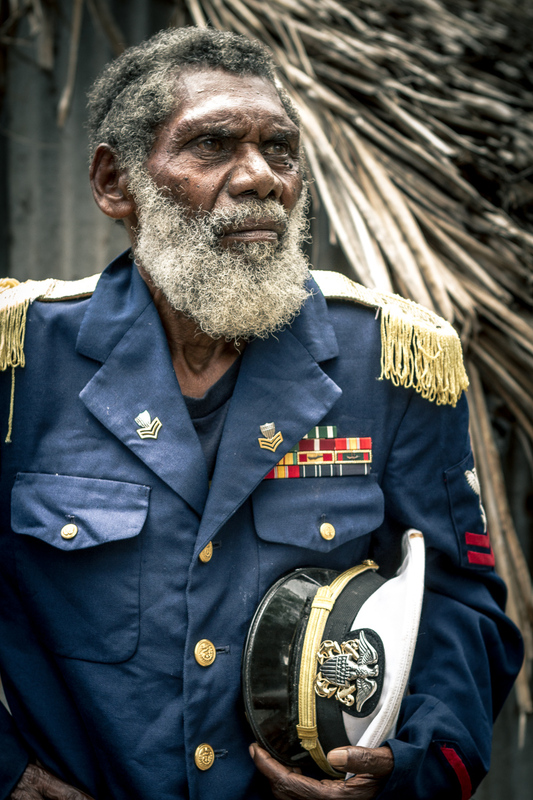 One of the chiefs of Lamakara village dressed as USA colonel watching drilling exercies. 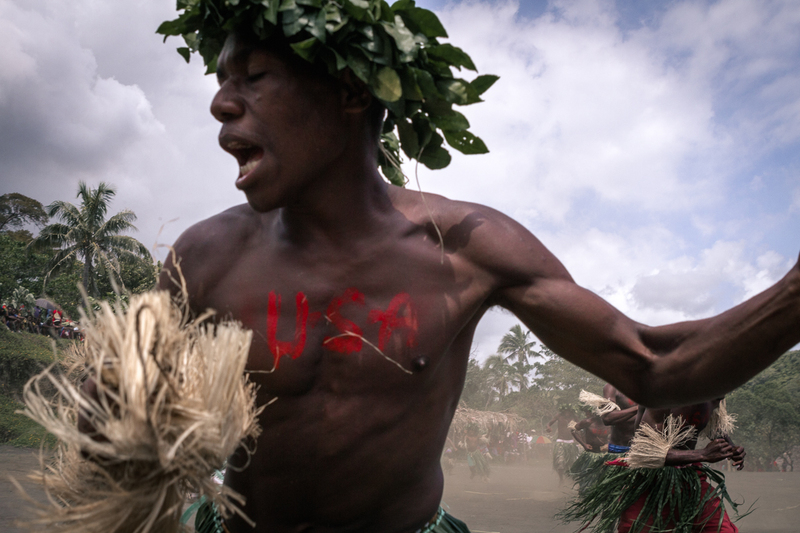 A man from Lamakara village is performing a traditional dance at the John Frum celebration in Tanna Island, Vanuatu. 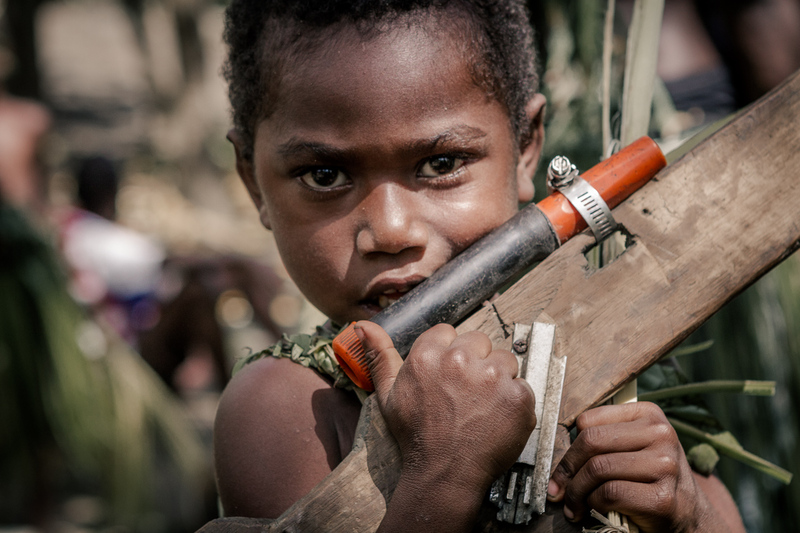 Boy with a wooden rifle used during traditional dance at the John Frum ceremony. 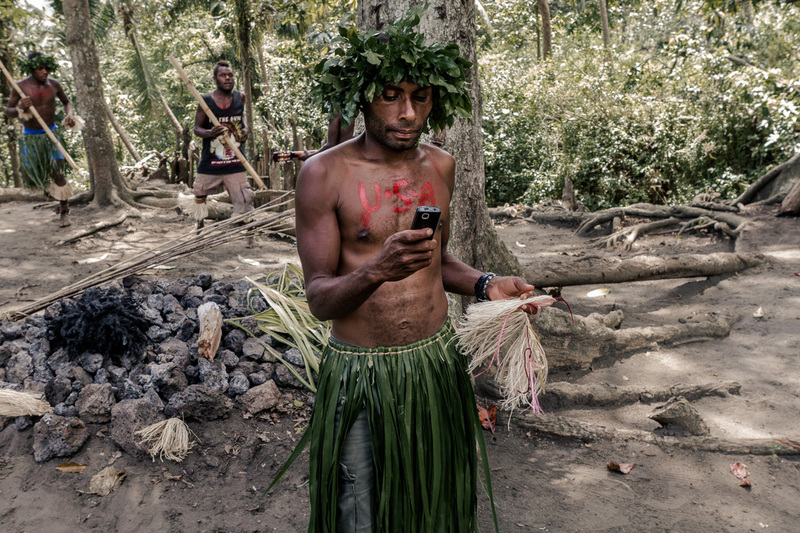 A "Tanna Army" performer with a mobile phone at the John Frum ceremony in Tanna island, Vanuatu. 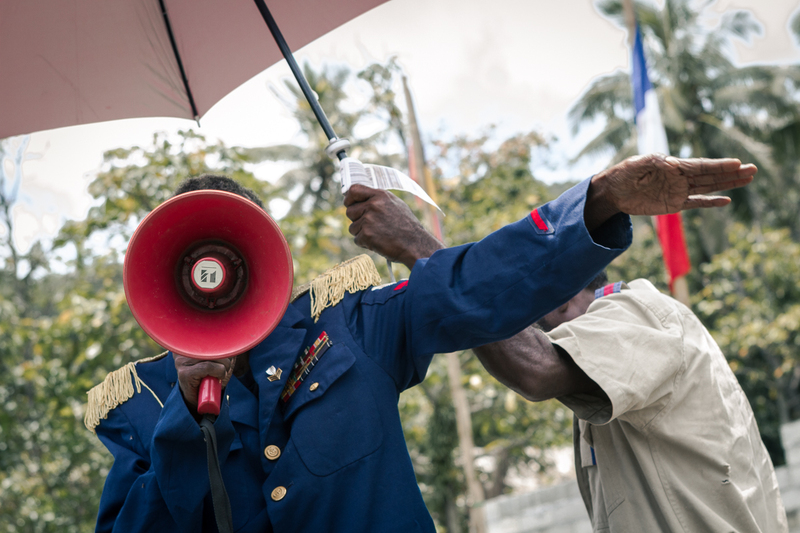 Village chief and the keeper of the John Frum cult Isaac Wan gives a speech at the ceremony in Lamakara village, Vanuatu. 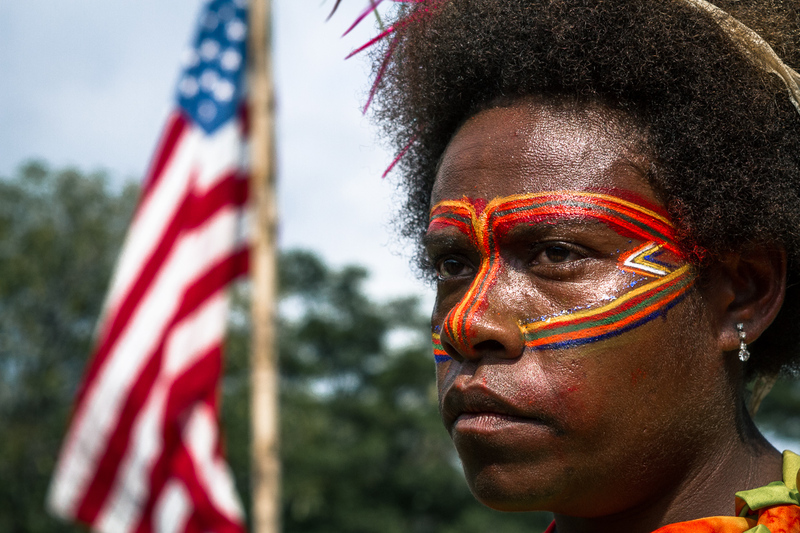 A woman wearing traditional face painting from Vanuatu in front of American flag at John Frum ceremony in Tanna island, Vanuatu. 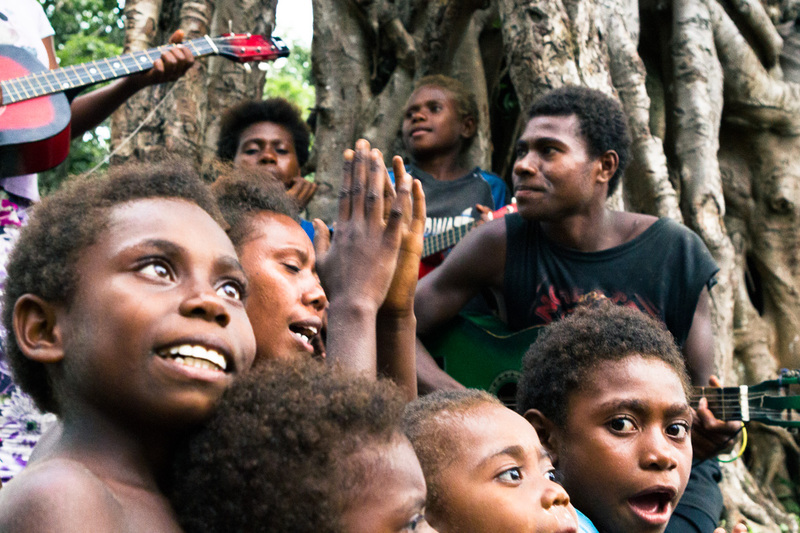 Kids in Iemale village play and sing songs about John Frum and his "apostoles". Iemale village has been following a version of the cult blended with Christianity. 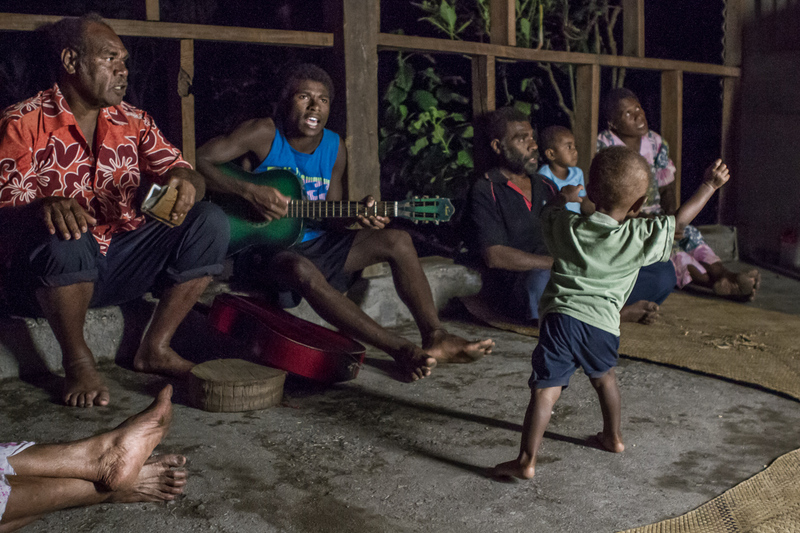 Boy dances to John Frum songs in Iemale village, Tanna island, Vanuatu. 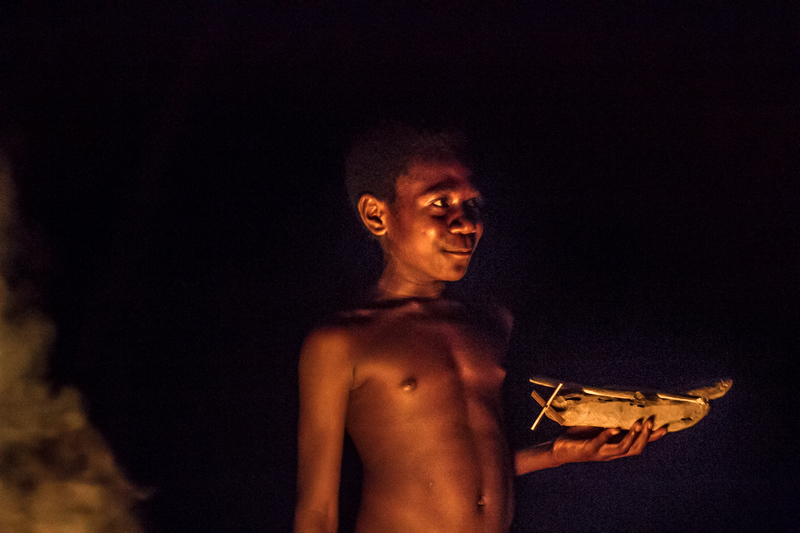 A boy is playing with a hand made model of an airplane in the Iemale village near Sulphur Bay, Tanna Island. Wooden airplanes replicas have been part of numerous cargo cults in Melanesia. 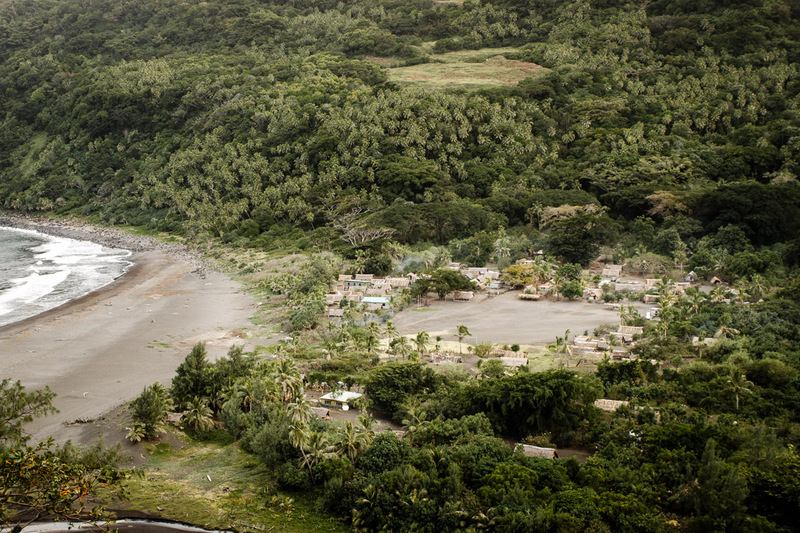 Village of the Sulphur Bay, Tanna island, Vanuatu where John Frum cult originated from.